Phone is Loaded with SCCP But Upon Request I Can Put SIP. delivering a media-rich collaboration experience across business, government agency, and institutional workspaces. These applications use the network as the platform to enhance comparative advantage by accelerating decision time and reducing transaction time. using any media, device or operating system. management applications, lifecycle services, flexible deployment and outsourced management options, and third-party applications. The Cisco Unified IP Phone 7942G (Figure 1) is a full-featured IP phone with speakerphone and handset designed for wideband audio. It is intended to meet the needs of needs of transaction-type workers with significant phone traffic. It has two programmable backlit line/feature buttons and four interactive soft keys that guide you through all call features and functions. more visibly rich Extensible Markup Language (XML) applications, and support for localization requiring double-byte Unicode encoding for fonts. connection and an integrated Ethernet switch. The Cisco Unified IP Phone 7942G is designed to grow with your organization and enhancements to your system capabilities. The dynamic feature set allows the phone to keep pace with your requirements through regular software updates. Firmware changes can be downloaded from Cisco.com. No hands-on moves and changes are required with the phone-you can simply pick up the phone and move to a new location anywhere on your network. 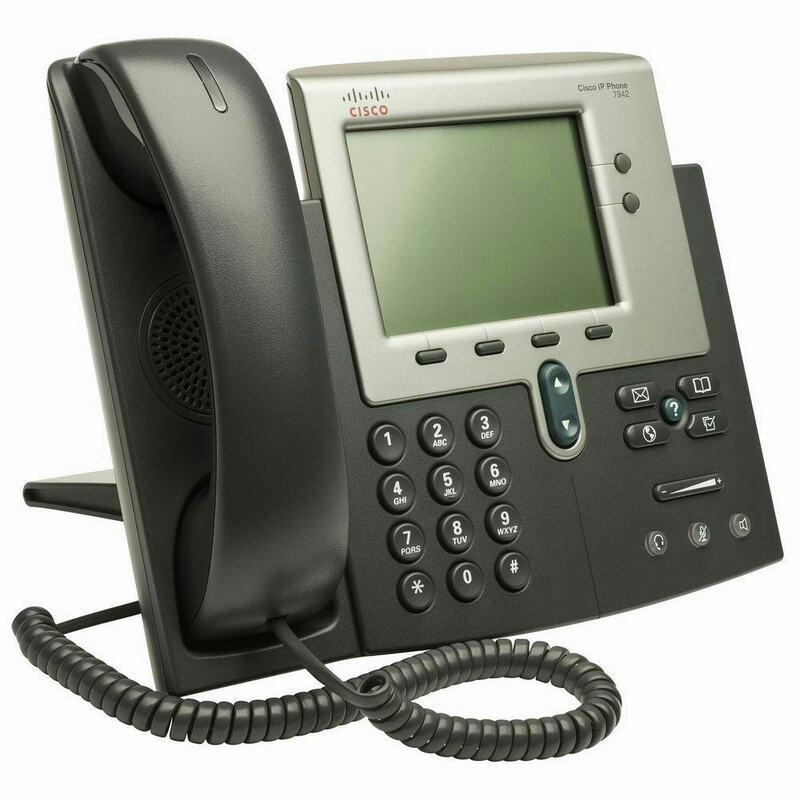 The Cisco Unified IP Phone 7942G also provides many accessibility features.